All these are due to entry of certain specific germs. In sapremia germs grow at a focus on the confines of the living tissues and from it, the noxious produced of the germ are diffused in the body. 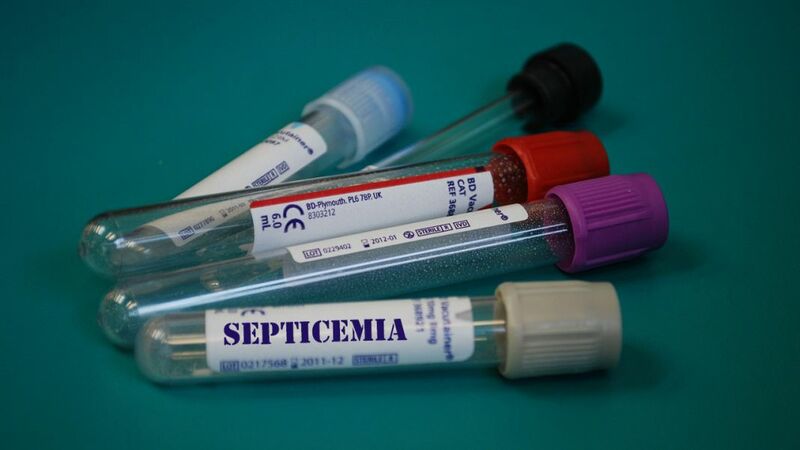 In septicemia, the germs enter into and multiply in the blood. In pyemia, the germs are let loose, along with dead to drying pieces of tissue and are carried and deposited here and there by blood (embolus). Gangrene causes rapid death of living tissues. All these are characterized more or less by rise of temperature, perspiration; rapid, intense prostration, anaemia, weakness, dry coated tongue, delirium, etc. Arnica 3—If due to hurt, fall or injury of any kind or after surgical operation. Pyrogen 6—Where fever is high. All discharges— stools, vomit, sweat, breath, etc. are horribly offensive. Mercuris Sol. 6—In threatened gangrene. Profuse nightly perspiration, but perspiration does not give any relief; profuse foetid salivation. Arsenic 3x—Restlessness, pain and burning; slight fever, tongue raw-red and the condition is subacute. Haemorrhagic tendency, profound prostration. Lachesis 6—Debility, delirium and coma. Talks much; all symptoms aggravate during sleep. Rhus Tox 3—Where lymphatic glands are affected. Bryonia 3—Pain is aggravated by movements; discharges present. Carbo Veg. 3—Where the vitality is low, extremitites cold and bluish, burning pain. Secale 1, Bapt. 3x, Crotalus 6x, Gels. 1x, Phos. 6, Hepar S. 30, Muriatic Ac. 6 are sometimes used. Wounds should be dressed antiseptically. They may be washed with a lotion of Arnica Ө(1 dram to 1 oz. of water). Hypericum 200 may be taken and hot compress applied to boils and abscesses. If the patient is very weak, give alcohol; pus should be drained out and dressed antiseptically, with hot boric compress. Regular purgatives and tepid spongings are also recommended. The patient should live in a clean, well-ventilated dry room, and live on nourishing liquid diets. He should keep in bed till recovery.